In 2005, Cliff Lerner was working on Wall St. as an equities analyst at Lehman Brothers while his brother Darrell was running a sports related Internet company. Feeling crunched for time but still wanting to go out on hot dates in New York City, Cliff saw an opportunity to build a business where busy professionals like himself could schedule dates by appointment. With support from his brother Darrell, Cliff left the banking business altogether (win!) to pursue entrepreneurship full time. In 2005, Cliff and Darrell founded SNAP Interactive, initially raising $200,000 privately from friends and family. The next year, SNAP went public in 2006 (OTCBB: STVI) and Cliff and Darrell launched IamFreeTonight.com in November. 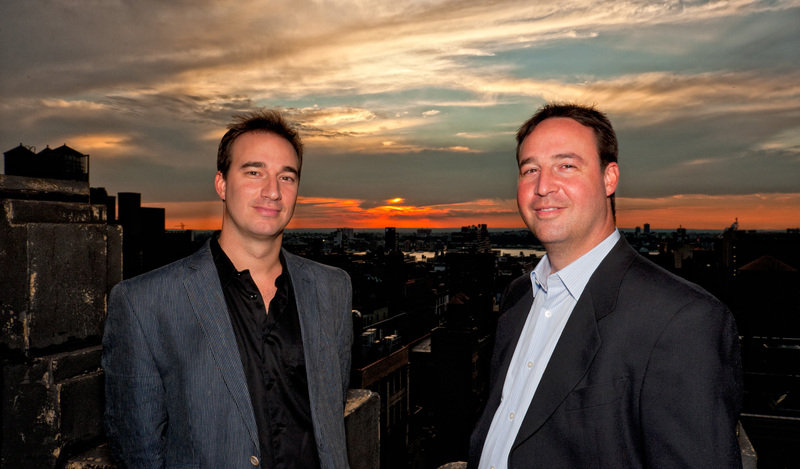 In May 2007, Facebook opened its platform to independent developers and the two brothers decided to create the MeetNewPeople Facebook app, which drove traffic to IAmFreeTonight.com. In a matter of weeks, they started seeing several thousand sign-ups per day. As the months continued, they decided to shut down IamFreeTonight.com in 2007 and transition the business entirely to building on Facebook. They spent the next couple of months testing various features and viral channels on MeetNewPeople, while concurrently building a second dating application. They launched AreYouInterested.com on Facebook on August 14, 2007, which enables singles to privately check “yes” to friends they might be romantically interested in and to be notified if they have a match. Today, AreYouInterested.com is one of the largest social dating applications on the Internet with over 47 million users, with a completely integrated Facebook, iPhone and Web application. SNAP also offers a multi-platform location-based service called WhoIsNear.com, which allows users to find new people and venues nearby, around the world. Overall, SNAP Interactive says it has nearly 50 million installs and 1 million daily visits across its properties. SNAP Interactive is as New York as the Yankees and proves that it’s possible to overcome many challenges that arise when searching for engineering and tech talent in a city outside Silicon Valley. SNAP says its stock has gone up more than 600% in the past 12 months*, its online dating app averages more new daily users than Match.com and that it’s experienced 9 consecutive quarters of revenue growth. In fact, SNAP’s latest quarter produced the company’s highest revenue total ever – $4.82 million – representing an increase of 288% over year-ago quarter. From banker to social entrepreneur, we caught up with Cliff Lerner, who’s still in his early 30’s, and his co-founder and brother, Darrell Lerner. CBM: Why did you decide to take the company public? What were the main factors leading up to IPO? Cliff and Darrell Lerner: SNAP went public back in 2006 through a non-traditional route of self-registration. At the time, online dating sites were just starting to go mainstream and companies like UDate were trading publicly with significant market valuations. We saw an opportunity to capture a significant market valuation by becoming publicly traded. In addition, providing an exit for investors made it easier to raise the initial capital. With limited funding, an additional benefit of going public was the ability to use the stock as a “currency” with which to partially compensate employees and service providers such as SNAP’s securities law firm. SNAP is unique since it’s the only top-tier “pure play” Facebook App Developer that is currently publicly traded. To date, we’re also one of the few top Facebook App Developers never to raise venture capital funding, which is unique for the industry. It was extremely important to us to maintain our independence and control because we believed we had – and continue to have – ideas that could really disrupt the industry. To this day, we prefer to maintain a long-term view and control our own destiny. Cliff Lerner: The good: Unwavering trust and unquestionable loyalty – far beyond what you could ever find from even the most trusted and loyal employee in a normal working relationship. In addition, success is that much sweeter since it is shared with the family. The bad: Sometimes it’s tough to separate the business and the personal side of things – particularly when there are disagreements. CBM: Since 2006- what are the biggest challenges you’ve faced as a company? Cliff and Darrell Lerner: Initially, the biggest challenge we faced was how to become a major player in the online dating space on a limited six-figure budget. Traditionally, dating sites have needed marketing budgets in the tens of millions or hundreds of millions to be a leader. SNAP had a marketing budget in the thousands. For a dating site to be a success, you need a critical mass of users. The greatest features in the world are worthless without a number of successful search results and it requires a member base in the millions to produce meaningful results, when filters such as age, location, religion, etc. are added. This is why the same vendors at the forefront of the dating space now are the same names we saw years ago; they’ve reached a critical mass. SNAP managed to overcome this challenge by recognizing the incredible opportunity that Facebook provided in being able to gain millions of members through viral growth. The biggest challenge we’ve faced since then is managing that growth. It’s easy to get distracted by bells and whistles and one-off opportunities that take you away from your core focus. Now, we focus on one or two things that we do really well and let the other things go. Startups can get caught up in trying to keep up with their competition, but the reality is if you do one or two things really well, your product will succeed. CBM: What advice do you have for emerging companies like Zynga, Groupon and Airbnb? Cliff and Darrell Lerner: SNAP has been publicly traded since 2006 and has experienced many things that companies who have just gone public or have filed to go public are likely to encounter. When large companies with significant market valuations go public, it can be a huge distraction for employees with stock who are suddenly watching their net worth fluctuate rapidly. We experienced this earlier this year when the stock (STVI) jumped significantly in just a few weeks. New public companies need to be acutely aware of the effects such price fluctuations will have on morale, as well as their ability to continue to incentivize and hold onto critical talent. At a company like Zynga, there may be some very young employees who become overnight millionaires, just as we saw during the height of the dot.com bubble. Newly public companies need to think about how to incentivize and continue to keep employees excited about coming to work, despite the cash suddenly in hand. What’s more, the need for increased disclosure of sensitive data and metrics can prove challenging for companies in an industry built around secrecy and “stealth mode.” The nature of the startup and gaming industry is based on the “secret sauce”, where competitors don’t know what you’re creating. When you’re public, competitors can all of a sudden comb through company filings while not being obligated to make the same disclosures, so it’s more difficult to keep financial metrics cloaked. SNAP’s applications, AreYouInterested.com and WhoIsNear.com, gained significant traction in the last couple of years, after the company was public, so it faced similar challenges. When you’re public, there is a shift in workflow to being totally transparent, so it will be interesting to see how they handle that. CBM: What are your plans for the rest of 2011? Cliff and Darrell Lerner: First, focus on Mobile – We’ve devoted significant resources toward mobile development this year and continues to expand the team. We’re aggressively expanding into the mobile space on the iPhone, with a goal of being a leader on both Facebook and iPhone. We are also considering the development of an Android app, to expand its reach to users on multiple devices. Second, employ the social gaming model to capitalize on large distribution capability – With more than 48 million installs, we believes it has the ability to employ the growth strategy that has been so successful in the social gaming industry of leveraging a large engaging Facebook app to launch new products that reach scale quickly. Lastly, gain market share in the LBS market – Juniper Research predicts the mobile location-based services market is projected to exceed $12 billion by 2014. In June, WhoIsNear.com passed the one million install milestone, an early indicator that it has the potential to be a major player in the location-based services space. *600% was the number at the time the interview as conducted. As of today, Sept 15, 2011, the stock is 476% over where it was 12 months ago.